First United Methodist Church - Community Easter Egg Hunt! Name: First United Methodist Church - Community Easter Egg Hunt! 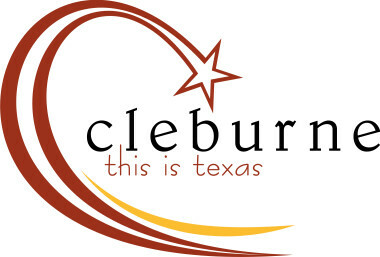 Community Easter Egg Hunt, April 20th at 11:00 am till 2:00 pm, 1300 W Westhill Dr., sponsored by First United Methodist Church Cleburne. 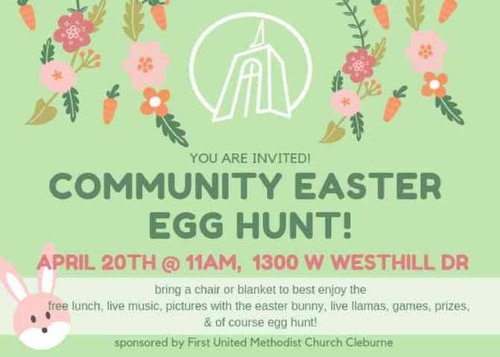 Families bring a chair or blanket to best enjoy the free lunch, live music, pictures with the Easter bunny, live llamas, games and prizes. The Easter egg hunt is for 4th grade and younger.